Recently, Apple announced the iPad Pro and Pencil stylus. Unfortunately, Apple's stylus only works with the iPad Pro. 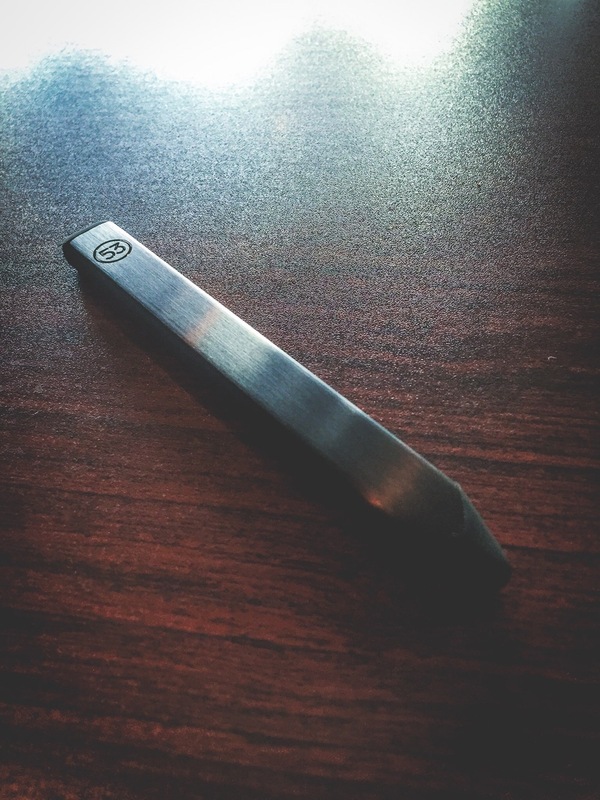 Long before Apple's Pencil, Fifty Three had their own Pencil stylus. And Fifty Three’s Pencil stylus works with all iOS devices. I love Fifty Three's Paper app, so the other day I decided to pick up their stylus. There are two versions: Wood and aluminum. 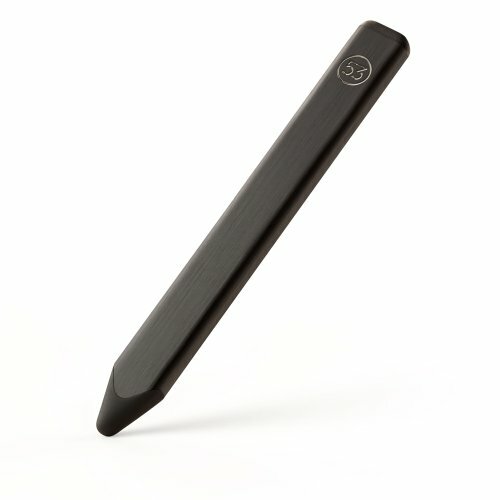 The wooden stylus also contains a magnet strip that allows it to stick to the iPad Smart Cover. I don't use a Smart Cover on my iPad Air, and the aluminum version was $10 cheaper, so I went that route. The first thing I noticed is how great it felt in my hand. It's shaped like a carpenter's pencil, and it has some heft to it. Part of me wishes the tip was solid rubber instead of hollow, but I'm sure a lot of people smarter than I put a lot of thought into it. Of course it works brilliantly with Fifty Three's Paper app. If you haven't checked out the app, it's definitely worth a look. The recent updates even have Paper working on the iPhone. The Fifty Three Pencil also works with several other apps. I have Procreate, so I tested it. It connected quickly and simply. The Fifty Three Pencil will work as a basic stylus in any app, but additional features are available in apps that make use of the API. I have noticed occasional glitches here and there, but I’ve noticed glitches with every stylus I’ve used. So far, this is my favorite. They say it’ll last a month on a single 90-minute charge. I haven’t had it a month yet, so we’ll see. Even if it only lasts a few weeks on a charge, I’ll be happy. Charging the stylus is as simple as pulling out its guts and plugging them into a USB port on your computer. 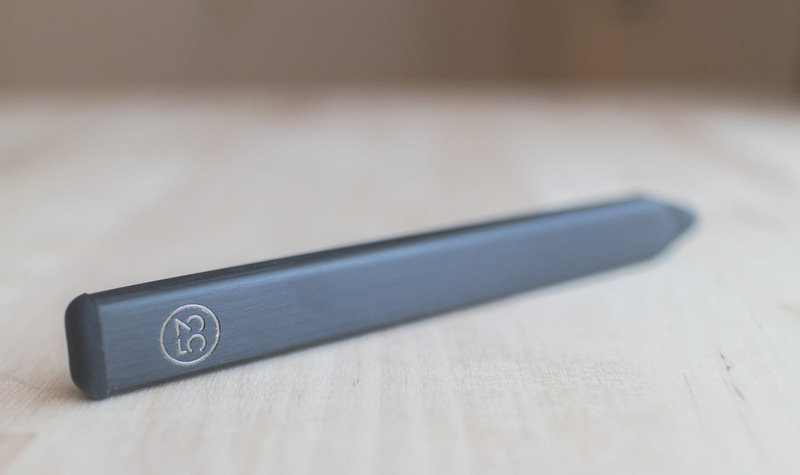 Fifty Three recently dropped the price of the Pencil stylus, and it's definitely worth the $40-$50. Especially since the Apple Pencil will run you $100. And you'll need to buy an iPad Pro just to use it. So that Apple Pencil will run you at least $900.